So far, 2009 looks like a good year for the emerging Honduras BPO community. The first tenants at Altia business park are planning to move into the state-of-the-art facility in September. 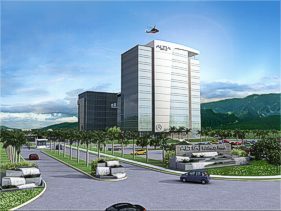 Worldwide outsourcing provider ACS recently announced plans to locate a call center near San Pedro Sula and operators of several industrial parks are helping make the case to invest in Honduras – a country that is becoming well-known for strong English language skills. There are well over 400 English language schools operating in Honduras. In fact, in a story that came out today in the Honduras publication “La Prensa” (click on this link for the Googlized English translation,) the author claims that Honduras has more bilingual speakers per capita than any other Central American nation. (Although Belize is probably the Central American country to have the most bilingual speakers – I invite others to make their points in the topic. Friends in Costa Rica or Guatemala, any comments?) To view the LaPresna story in the original Spanish version, click here. The story notes that Altia Business Park is one of the leaders in trying to attract outsourcing operations, based on tax incentives and economically priced telecom services. Another important player is Gruppo Karims, a worldwide organization which invests in industrial real estate, textiles and tourism. The company has operations in Pakistan, Mexico and Hoduras, and offices in Guatemala, China, Dominican Republic and the USA. Karims operates a large industrial facility called Green Valley Industrial Park, considered one of the largest and most technically advanced facilities in the entire Nearshore region.